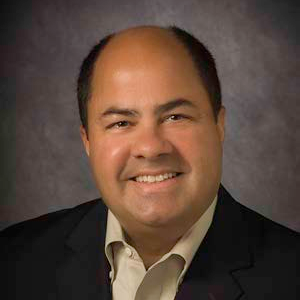 Tony Padilla is Director of Enterprise Services Integration for The Boeing Company. In his Enterprise Services Integration role, Padilla is responsible for the Enterprise Services Council, driving the company’s internal service delivery to Global Industrial Champion levels of performance. He also leads the Information Services team responsible for delivering internal services focused on leveraging data and information as a strategic asset. Padilla is the Boeing executive sponsor for Great Minds in STEM™, a non-profit organization with a vision to be a national leader in keeping America technologically strong by promoting Science, Technology, Engineering and Math careers especially in underserved communities. He is a member of the Mesa Site Board of Advisors supporting site leadership topics including employee safety, state and local government matters, and community involvement. Previously, Padilla served as the director of Business Operations for Shared Services and held functional leadership positions in Human Resources and Ethics & Business Conduct, along with leadership positions in Commercial Airplanes (Industrial Engineering, Program Planning & Controls, Engineering, Manufacturing and Business Operations, Import/Export Compliance and Intellectual Property Management). Padilla holds a BA in mathematics and a BS in engineering technology and received his JD and MBA from Seattle University. He is a member of the Washington State Bar Association.